Known for her fierce independence, Katharine Hepburn was an unconventional Hollywood beauty who chose to wear trousers over dresses and forego makeup for the natural look. This talented actress defied 1930s beauty standards and made her own way in film. This scandalous outlook inspired Ottiu to create the Katharina Dining Chair. Perfect for any dining room with a mid-century modern decor, Katharina features a curved backrest supported by long polished brass legs. Upholstered in the finest cotton velvet, the design has a pull handle finished in a matching brass finish. 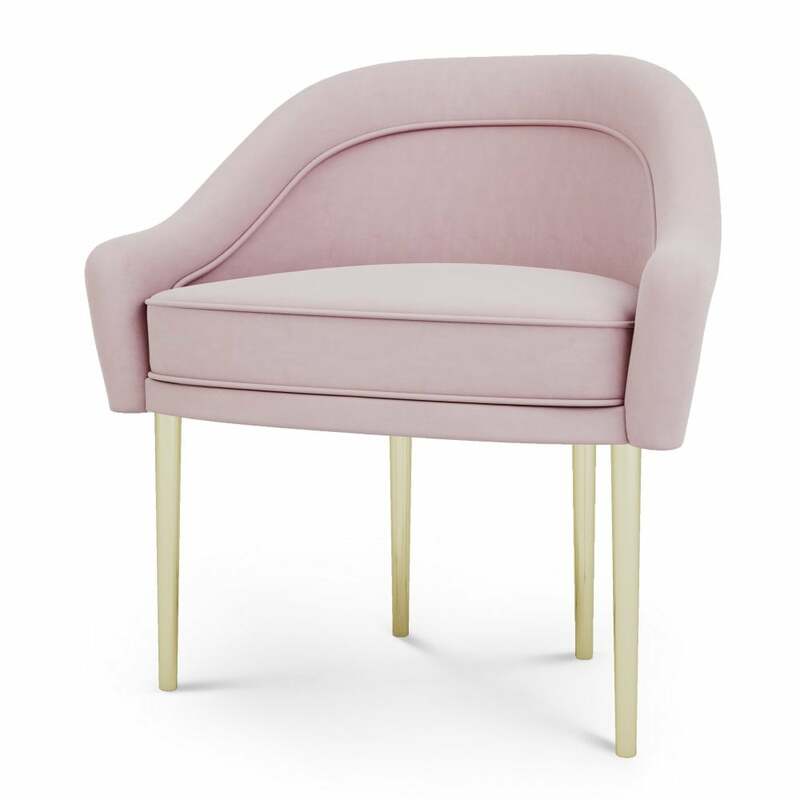 Part of Century Collection by Ottiu, we love this design in a fun pastel pink hue. Contemporary and stylish we agree with Katharine Hepburn when it comes to interiors, "If you obey all the rules, you miss all the fun." Get in touch with our team to discuss bespoke options. Priced for Upholstery: Ottiu Fabric. (USD) Structure: Beechwood. Legs: Polished brass.